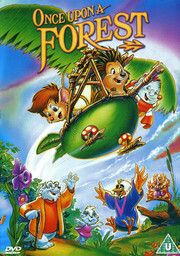 Tecknad barnfilm från 1993 av Charles Grosvenor. In this rousing, magical adventure filled with whimsy, laughter and charm, a host of fun-loving characters takes you on an unforgettable journey in a land called Dapplewood. One day, three Furling friends, Abigail the wood mouse, Edgar the mole and Russell the hedgehog, find their tranquil lives greatly disrupted. A chemical spill has destroyed Dapplewood and their young friend Michelle becomes seriously ill from the toxic fumes. 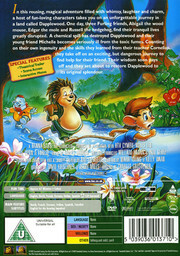 Counting on their own ingenuity and the skills they learned from their teacher Cornelius, they take off on an exciting, but dangerous journey to find help for their friend. Their wisdom soon pays off and they set about to restore Dapplewood to its original splendor.